Costa Rica Vacation Packages have been designed for those looking to relax in paradise, discover amazing beaches, tropical forests, active volcanoes, and lush flora and fauna. Take a sunset cruise, enjoy some adventure, or may take a few days in the serenity of the rainforest. If this fits with your dream vacations then search no longer this is the right place, Costa Rica. We offer you a great variety of Costa Rica Vacation Packages with a wide diversity of destinations to visit and relax along the country. 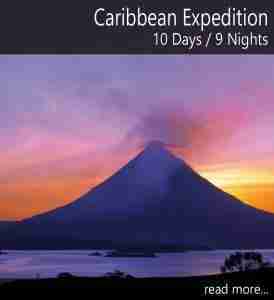 Mountain ranges, secret spots, national parks or the beautiful Caribbean and Pacific coasts. In addition to the incredible natural beauty and diversity of activities for all the family. You will also learn about the local culture and local traditions, the food and the people who make of this country the perfect place to make friends and enjoy a relaxing time. Our Costa Rica Vacation Packages also offers a wide selection of hotels, lodges and vacation rentals for your stay with different budgets and locations. Costa Rica Vacation Packages are designed to enjoy the best attractions and adventures while saving time on your travels giving the best out of your holiday. Family, honeymoons, adventure, spa & yoga vacations are some examples of the packages that we offer you. If you prefer your own customized vacations or adjust your budget please contact one of our travel experts at [email protected] and we will be back to you shortly with all the information need it, we are waiting to show you the happiest country in the world!